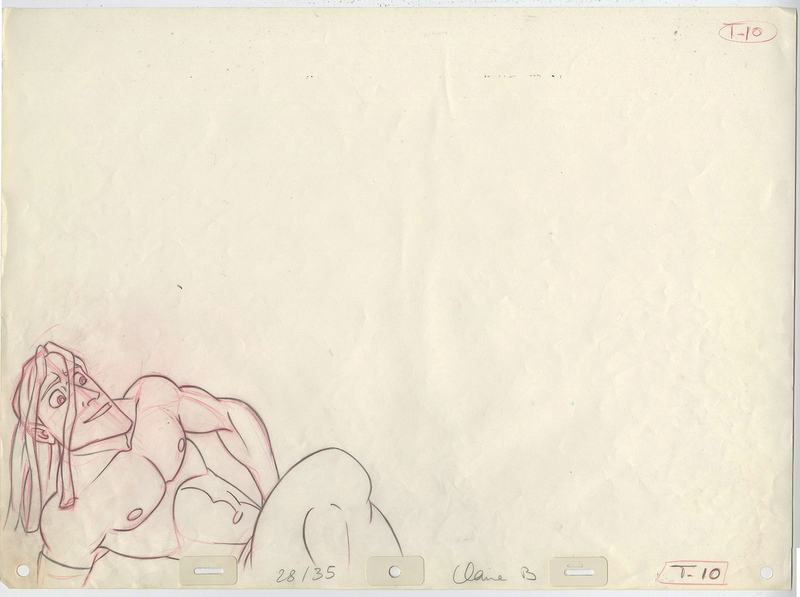 5.5" x 8.5",7" x 15",5" x 12.5"
This is a set of 3 original production drawings from the Walt Disney Studios production of Tarzan (1999). 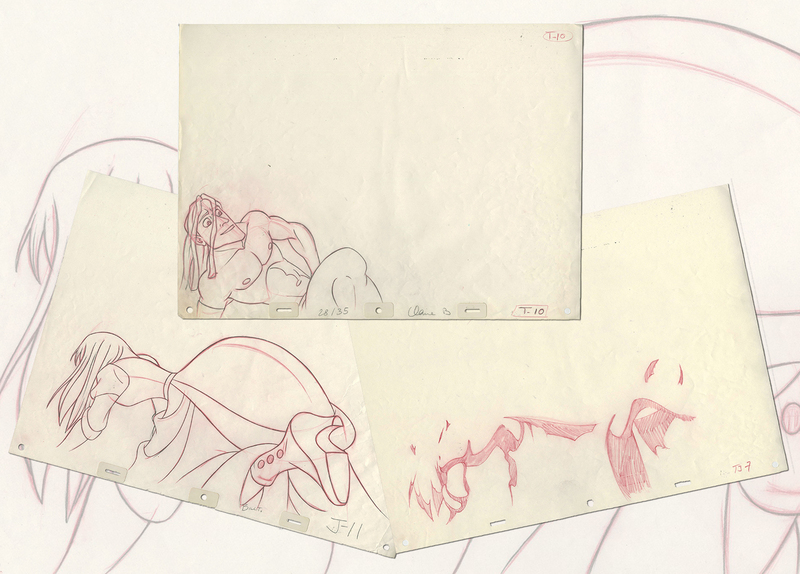 These drawings feature Tarzan and Jane Porter, as well as an effect drawing for the shadows on Jane, and were created at the studio and used during the production of the film. The overall measurements of each piece are 12.5" x 17" and the images measure 5.5" x 8.5", 7" x 15", and 5" x 12.5". All three drawings are in great condition.